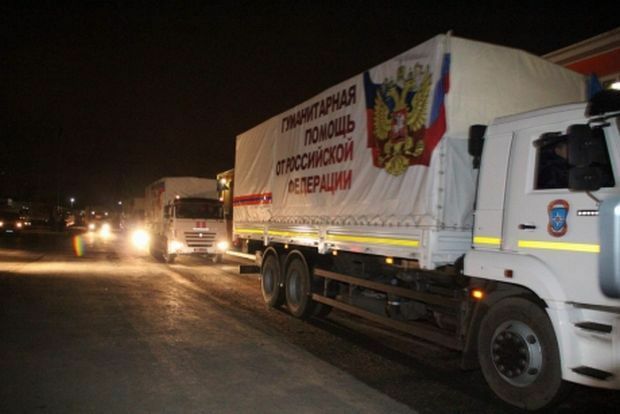 The Russian Ministry of Emergency Situations has started forming the 50th so-called "humanitarian convoy" to Donbas, the ministry's press service has reported. According to the report, the trucks have set off from Noginsk rescue center in Moscow region, which will be part of the 50th "humanitarian" batch to Donbas. It is reported that the convoy will deliver more than 1,100 tonnes of humanitarian aid. The cargo reportedly includes food: canned food, flour, sugar, cereals, pasta, butter, puree, juice. The column will also deliver the seeds of crops for the spring sowing campaign. As UNIAN reported earlier, the Ukrainian side has repeatedly stressed that all freight coming from Russia in such convoys, which Moscow calls "humanitarian," entered the territory of Ukraine illegally, without the consent of the government, in violation of national laws and internationally accepted practices.